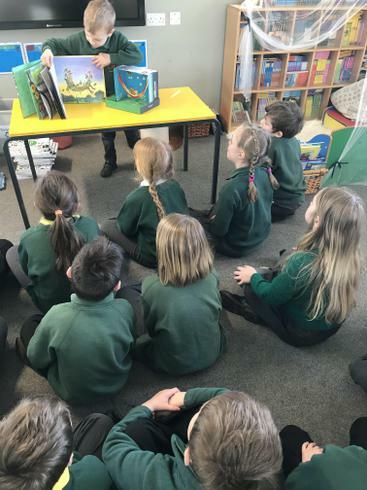 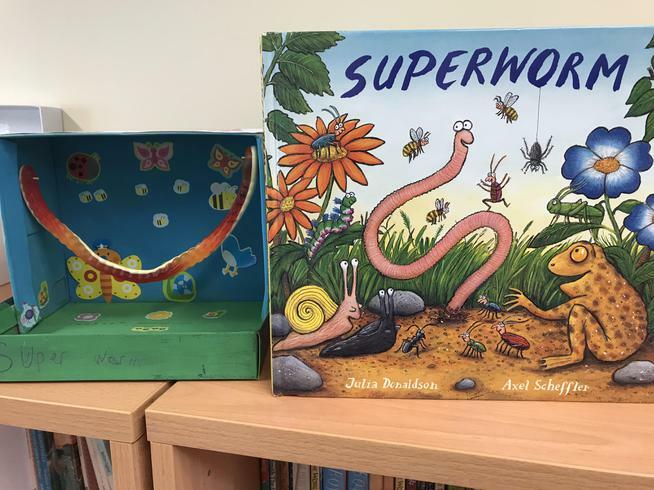 Another fantastic Julia Donaldson book was presented us to Class 2 today; Theo chose 'Superworm' for his book in a box! 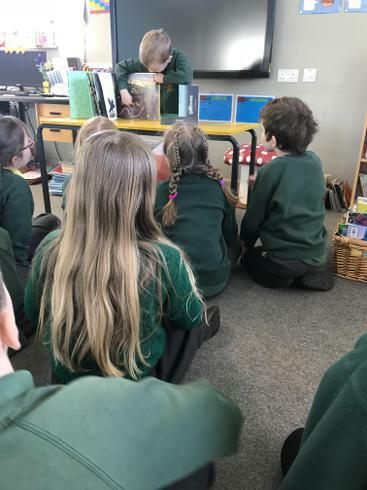 Theo introduced the book to us and told us the story of Superworm and how the evil wizard attempts to take advantage of Superworm's powers. 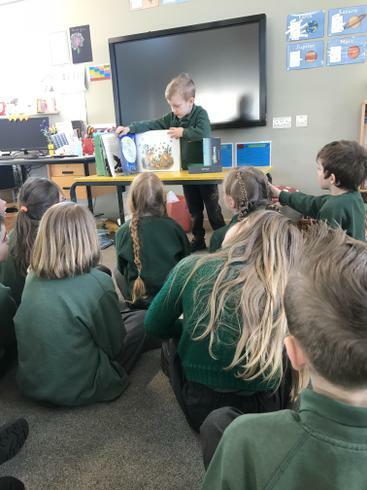 An exciting presentation which also made us all very hungry and Theo used a huge gummy worm to represent the main character. 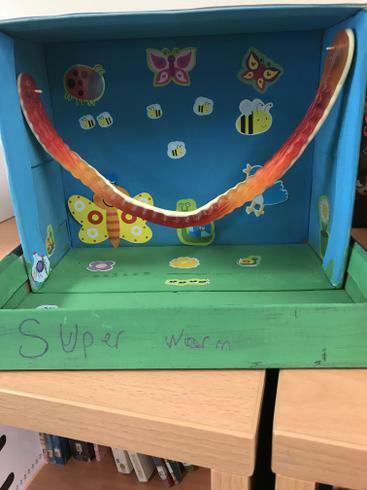 Well done Theo - a fantastic book in a box!